Doing Your Home DIY New Years Resolutions On a Budget. If you're anything like me, you'll have a new years resolution list as long as your arm with no particular pattern. 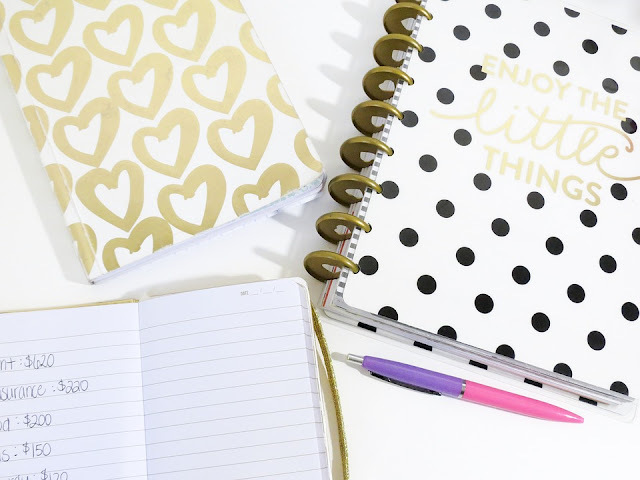 A few of mine are: to save/make money, to be more organised, to lose a LOT of weight, to save/make money, to get at least two rooms done in the house, to build the blog up, to quit a bad habit, to save/make more money by cutting back on spending, being more thrifty, earning more and to make more time for myself - give myself a proper working break in other words and have I mentioned to save/make more money? There is so much that needs to be done, I am taking it all one step at a time, as I know doing/quitting two things at once is never a good idea! I also hope to be able to tie things in together, for example to take my mind off of me giving up my bad habit, I hope the DIY home makeover (or more the DIY make a home!) project will keep my mind occupied so I can battle the cravings, I'm not sure it'll work, but I'm thinking positive and that's a start right? One main thing that I'd love to tie in with most of my resolutions is saving money, I know by quitting my bad habit I'll be saving money, and I know if I crack the master of being more organised I'll save more money. As many of you know Gareth put a ring on it - in other words he proposed to me, which was over a year ago now, and I'd really like to start saving for our wedding. With such a run down house (I'm not ready to call it home just yet), it's not only time consuming but very pricey too, in an ideal world I'd be rich and would of had it all sorted within a month of moving in, but we're not in an ideal world so actually things aren't that simple. These things take a lot of time, and a lot and I mean a LOT of money. So far I have the front room completely done, I've had a new kitchen put in, but I'm not happy with the floor and I still haven't found the ideal blind, PLUS with everywhere else getting plastered, the kitchen is the only place that will have a different ceiling, it can't be the odd one out! I've just recently had my hallway plastering done and a new radiator put in, and once decorated the flooring is ready to go down - wahoo! Next on the list is the bathroom, it's only small but my gosh there's a lot of work to be done, then it'll be Spud's room, my room and finally the carpets can be picked, purchased and fitted! To save money on the rest of my home makeover (or as I call it make a house a home project) I am going to do things a bit different in 2017 with the rest of the work that needs doing. For example instead of hiring tools like I have been doing, I'm going to start buying my own tools - after all they'll come in handy won't they and Gareth can get creative with a toolbox if he ever wishes too! I've been buying a lot of my tools from electricalguys.co.uk as they have a sale on, but I've also been asking around family and friends to see if they have any spare or duplicate tools that need a new home. I'm also going to see if any of my family and friends can be a help with the decorating to keep cost to a minimum, it's amazing what good cups of coffee and bacon/sausage sandwiches can make people do haha! To be fair, I have an amazing family who have helped me get to where I am today with this house, if it wasn't for my dad, Gareth and my siblings - especially Jamie and Dean then I wouldn't be no where, seriously! I've also just recently heard about a local shop who sells big brands painting and decorating products for a smaller price tag than DIY stores, so I'm planning on buying as much decorating supplies from there, but if that fails I'll be sure to save some pennies somehow - I'm a determined lady! I'll keep you posted on both the DIY and money saving front!